ï»¿ The 80s Brigade - Big 80s rock is BACK! 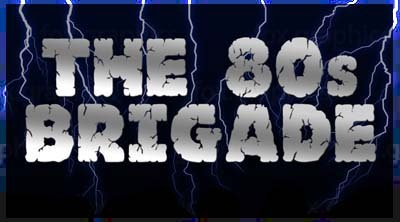 The official site for the AMAZING tribute to the decade of party music, the 80s BRIGADE! The 80s Brigade bring an incredible show filled with your favorite rock and dance hits from your favorite decadent decade. All performed with AMAZING musicianship and high energy that will pack the house and provide an unforgettable experience. HELLO EVERYONE!! Did you miss us? After taking some time for injuries, illnesses, vacations, helping old folks cross streets, tantrums, staring at the sun too long, getting lost because GPS can be your enemy, and paying too much for sunglasses..... WE ARE BACK!! The band has returned to first class 80s style rocking in the last couple of weeks. The calendar is starting to fill up quickly so make some plans to come join the guys as they take the fun to a new level in 2019. ARE YOU READY? This Friday the band will be in Upland at Rescue Brewing and then on Sunday they head over to Hell's Kitchen for some mid-day rocking. Come out and join the party. We'll see you out there. It's the holiday season and the guys are out there rocking with the holiday spirit. Last weekend the band played the Chino Hills outdoor mall known as the Shoppes. As shoppers enjoyed the snow, fountains and great food, the guys rocked them 80s style and gave away SO many gifts to the kids that danced and enjoyed themselves. What a night to remember for them and ESPECIALLY for the band. The holidays seem to bring out everyone's inner child and it was a blast to entertain everyone there. Next week the band returns to Menifee and rocks the Pitstop Pub. Great place and great staff. Get there if you can! Fun times for sure! The guys are having so much fun lately. The crowds have been incredible and the feedback we are receiving is SO POSITIVE. Thank you everyone. From the SoCal Fair, to sharing the stage with Graham Bonnet, to helping celebrate the life of a friend recently lost to us, October 2018 was a month to remember. 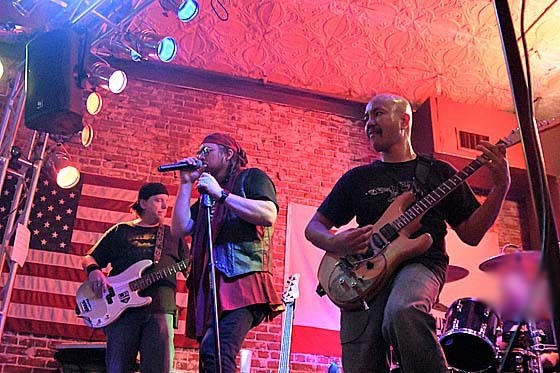 The band returns to Rancho Cucamonga on November 3rd at Tilted Kilt and then to Redlands on November 17 at Taylor's. Both shows will be ones you don't want to miss so make sure you're planning to BE THERE! More shows will be added to the schedule very soon so keep checking back or follow the band on Facebook. See ya out there!! September has been great for the band in 2018. Thornton Winery (great stage), The Shoppes in Chino Hills, Lake Alice, the welcoming return to Temecula, and don't forget O'Hara's for Rex's birthday... just AMAZING FUN! A special shout-out to Rex for letting us know that he booked the 80s Brigade in particular for his birthday bash. A great guy and we were happy to be there. So many comments about how the band is sounding better than ever. We could not appreciate everyone's enthusiasm more. October is going to be even better by the looks of it. The schedule has been updated with some new dates. We are particularly excited to be invited to perform at the Southern California Fair at the Perris Fairgrounds on October 6. The band starts at 1:30pm on the Fiesta Stage so make plans to be there. First up though, this weekend the band returns to Lake Alice on Friday night and then Saturday visits Fullerton for the first time at The Bench. So come on out and BE READY for great tunes and wild fun. See you there!!! Thanks to all that hung with us at Lake Alice and Temecula Wine and Beer this past weekend! We had a blast at both spots, and we especially appreciate the love shown to our new guitarist Raoul Ranoa! We are very fortunate to have him playing with us, and he killed every song! It was great to play the Garden again after so long, and we hope to be back soon. Much love!! This Friday we will be in Moreno Valley at Tilted Kilt. Everyone come out and get ready for some crazy fun! Until then, here is some video taken by friends and family last weekend. Be sure to LIKE our FACEBOOK site. Join with the Brigade and celebrate ROCK!!! OVER 1,400 LIKES SO FAR!!! TELL YOUR FRIENDS!!! Download the band's EPK for booking info. For those of you who want to know where to find some AWESOME rock clothing and accessories, you need to CHECK OUT our new friends at LIP SERVICE!!! Want to dress the part next time you're ready to rock?! They've got you covered with selections for men and women. Tell them you heard about them from the 80s Brigade. Don't forget to check out our sponsor, COLDCOCK WHISKEY!!! If your favorite hangout doesn't have it, tell them they should!!! Are you ready to test your knowledge? !